(BPT) - As this time of year approaches, kids start staring at the clock, counting down the minutes until the last day of school. But as a parent, you're likely not wishing this time away so quickly, especially if you haven't finalized any day care or day camp plans. The sheer number of summer day camp options can leave any parent feeling overwhelmed. And there's more to consider than just sing-alongs and friendship bracelets. The best camps provide your kids with lifelong memories and the skills they need to be successful. With an endless stream of possibilities, how do you navigate and find the best fit for your child? It's important to send your kids to a camp run by an organization you trust. There is something to be said about a camp that's been in operation for several years, and a well-trained staff definitely has something to do with it. The staff should be background checked and certified to take care of children on a daily basis. Before you sign up, ask about safety standards and what the camp's protocols are for camper-staff interactions. 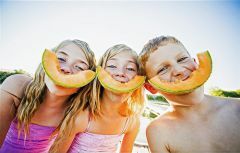 Whether it's a camp with a theme or a general kids' day camp, kids do well when presented with a variety of options when it comes to activities. From arts and crafts to field trips, sports, swimming and games, find a camp with activities your child will love. Your child will thrive at a camp that offers full days of play, thrilling field trips and healthy activities, like the camps at Life Time - The Healthy Way of Life Company. And don't forget to pack a swimsuit and sunscreen. Active kids need to be properly fueled during the day, so make sure whichever camp you choose provides adequate and healthy nutrition and time for breaks. Sugar-filled, processed foods are often the norm and it's always okay to question the menu. And, don't forget to ask about how the camp handles food allergies. Make sure whichever camp you choose makes nutrition and hydration a priority. Just because your kids have the summer off doesn't mean your schedule becomes more flexible. Look for camps that offer the option to drop them off early so you can still make to work on time. Similarly, many camps offer later pick up times, often key for working parents. Life Time Kids camps offer early drop off for just $20 per week if your kids are signed up for a camp that starts in the morning. There's no need to worry about finding the right kids' camp when you know what to look for. Use this as a checklist and your child will be on their way to a summer full of fun and adventures. For more information on kids camp options visit lifetimefitness.com. (BPT) - Do you hear that? It's the cheering of students as they run through the hallways on the last day of school. They're excited for three months of playing outside with no teachers and no assignments. What will they get into this summer that will keep them entertained, active, using their brains and socializing with peers? "It can be tempting for kids to fall into the old habit of lounging on the couch in front of the TV all day when out of school. 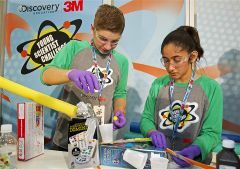 Students often don't get an adequate mix of challenge and fun during the summer months," says Ellen Marks, Curriculum Director of Bricks 4 Kidz(R), an award-winning summer camp and after-school program. "Summer is an ideal time for them to take on new challenges, engage in critical thinking and have fun with peers in an energetic atmosphere." LEGO Bricks are the ultimate informal learning tool, especially in the summer when kids are wishing for more fun playtime. Not only do they prompt kids to naturally practice methods of engineering through hands-on building, they also engage their imaginations and boundless creativity. Gears, motors, robotics, and LEGO computer software programs also help children grasp technology in ways they might not during the school year, so they'll experience a whole new level of amusement. 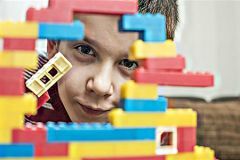 When building with LEGO Bricks, it's only natural that kids will develop enhanced spatial awareness, visual processing, and fine motor skills. Even better, the Bricks 4 Kidz proprietary models and camp activities are centered around popular themes that kids love! Don't let your kids sit at home in front of a screen all summer. "Children need a chance to experience working in a group setting as well as on their own," says Michelle Cote, founder and president of Bricks 4 Kidz. "Group work allows them the opportunity to collaborate and learn about their peers, while working alone helps build self-confidence. Creative and imaginative play is also beneficial to child development, so help your kids get up off the couch and into an environment that encourages both playtime and learning." Kids can easily avoid brain drain this summer when they learn through playing. Put them in a program that will employ their minds while having fun and making friends along the way. To find a program in your area, visit www.bricks4kidz.com. You can learn more about their programs and new summer camps by searching for a location by state or zip code. (NewsUSA) - It’s recognized as a "silent epidemic" among our nation’s youth. In the past year alone, 48 youths died due to sports injuries. About 30,000 high school athletes are hospitalized every year. Concussions account for 90 percent of high schoolers’ 300,000 annual head injuries. That explains why a new program called "Athletic TIPS" (Towards Injury Prevention in Sports) has garnered the support of everyone from health care professionals to athletic directors to sports stars like football legend Michael Strahan. The retired New York Giants defensive end, in fact, narrates the introductory video on behalf of the not-for-profit group behind the initiative. The program’s goal? To foster "a safer experience" for athletes at the kindergarten through college levels by focusing on the recognition, prevention and management of sports-related injuries -- all done through community workshops, online learning, and other grassroots initiatives. "Athletic TIPS answers a critical need for educating school-age athletes, their parents, and advisors about sports-related injuries," says Ed Goren, the former vice-chairman of Fox Sports Media Group, who’s backing the initiative. "Hopefully, parents will feel more confident encouraging their sons and daughters to reap sports’ substantial benefits and life lessons." (BPT) - It is no secret that grandparents play an important role in the lives of their grandchildren. 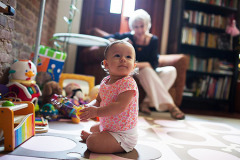 From giving encouragement and life advice, to helping out as a caretaker, many turn to their grandparents for support. In fact, 72 percent of grandparents take care of their grandchildren on a regular basis, and 70 percent of them see their grandchildren at least once a week, according to the American Grandparents Association. With an abundance of grandparents overseeing their grandchildren on an ongoing basis, it is particularly important they are aware of the dangers that lie within their household that may be harmful to children. One of the most common dangers includes leaving out medication that is easy to access. In fact, in three out of four emergency room visits for medicine poisoning, the child got into medicine belonging to a parent or grandparent, according to Safe Kids World Wide, a global organization dedicated to preventing unintentional injuries in children. Rallie McAllister, MD, MPH, a family physician in Lexington, Kentucky, and coauthor of The Mommy MD Guide to the Toddler Years, encourages conversation, awareness and education-surrounding children's home safety. McAllister says that each year in the U.S., thousands of children are seen in emergency departments for accidental medication exposures, which can be fatal. The typical scenario involves a curious child finding and ingesting unsecured medication. "In almost 40 percent of cases, the medication belonged to a grandparent, and the medication was left in a purse or bag, a pillbox, or on a counter or nightstand," says McAllister. 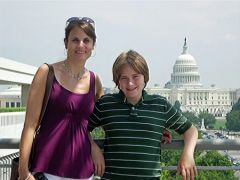 "It only takes a moment for children to find and swallow medication that can put their lives in danger. Parents and grandparents can protect the lives of the children they love by ensuring that all prescription and over-the-counter medicines in their homes are stored safely and securely." Keep medication up high and out of sight of children. The orange bottle medications usually come in is bright and appealing to children. To them it may look like a toy that makes noise when shaken, or a fun game with pieces that can easily go straight into their mouth. Be absolutely sure the bottle is closed and secure with the safety lock. With a regular schedule of taking meds, it may be tempting for seniors to leave bottle tops loose for easy access each time the medicine needs to be taken. Lock up your medication in a designated spot. Med-Master offers a variety of durable, flexible medication storage solutions that feature locking options including a 3-digit combination lock, or a wireless battery operated RFID lock, to maximize security. In addition to being a locking storage unit, once opened, options include a pill-sorting tray for organization, a magnifying glass with LED light for easy label reading, as well as a magnetic dry erase kit for important reminders and notes. For more information, visit www.mmfind.com/med-master.